As with the normal Case Model, a case in the form of a document, a document group or a document set is the focus of this model template. 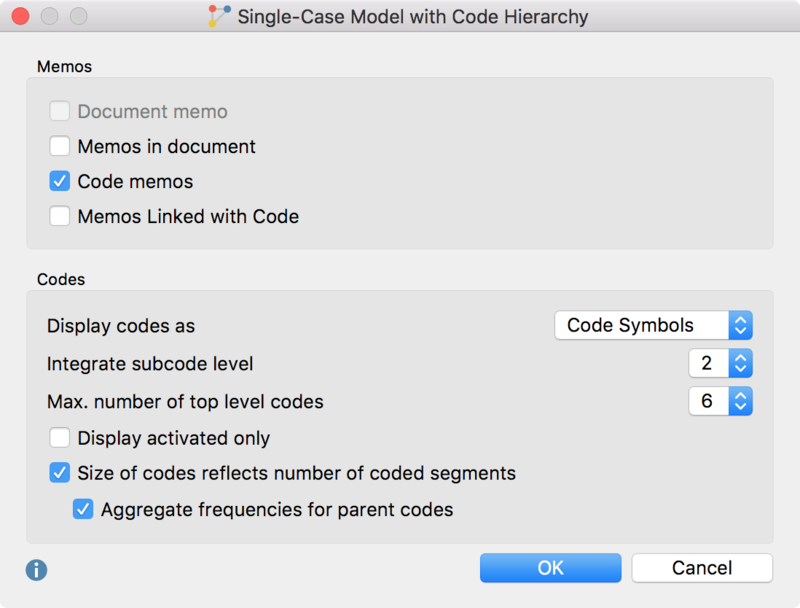 Unlike the normal single case model, however, the codes used in the case are not arranged in a circle around the case, but from top to bottom while maintaining their hierarchy. 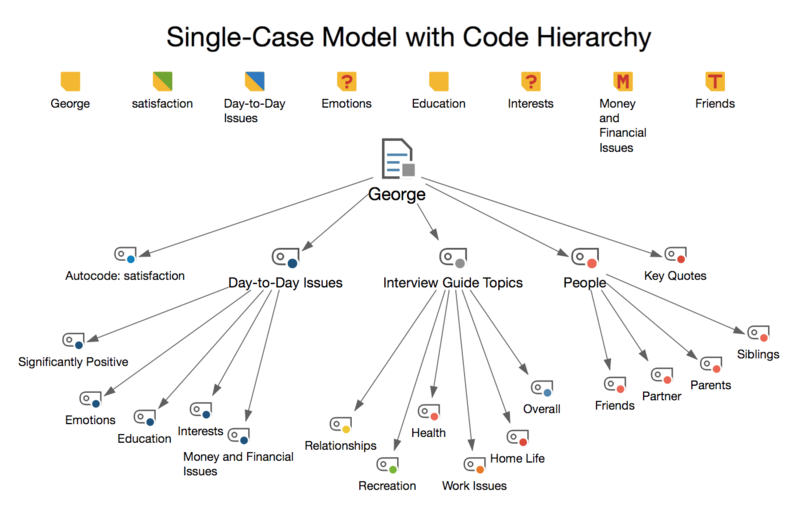 No codings are shown in this model. This then looks like as in the following figure. The hierarchy of codes is symbolized by arrows: A code pointed to by an arrow represents a subcode of the code at which the arrow starts. Memos – This lets you decide which memos to integrate: The associated memo from the “Document System” (document memo), the memos assigned to documents evaluated in the cases, the memos of the codes assigned to the case, and memos linked to any such code. Max. Number of top level codes (5-10) – Specify the maximum number of top-level codes to display here. MAXMaps selects the codes with the most coded segments for the display – for codes of the same frequency the code higher up in the code system will be given preference.